If you are trying to tailor a specialty diet to your genetic makeup, you might not need to worry, as US researchers have found that you're probably going to lose the same amount of weight whether you follow a low-fat or low-carb diet, and your genes have nothing to do with it. Previous research suggests that your genes or how your body processes insulin and sugar might modify how a diet affects you, but over this 12 month study they found neither factor had any significant impact. Bottom Line: Weight loss over a year was not significantly different for overweight adults who followed a low-fat or low-carbohydrate diet, and neither a person’s genetic makeup nor their insulin secretion level was associated with how much weight they lost. Why The Research Is Interesting: No one diet strategy is consistently better than others for weight loss in the general population. Some studies have suggested variations in people’s genetic makeup could make it easier for some to lose weight than others on certain diets. Other studies have reported a person’s insulin secretion may explain different weight loss. Who and When: 609 overweight adults enrolled in a randomized clinical trial from January 2013 through April 2015 with follow-up through May 2016. How (Study Design): This was a randomized clinical trial (RCT), which allows the strongest inferences to be made about the true effect of an intervention. However, not all RCT results can be replicated in real-world settings because patient characteristics or other variables may differ from those studied in the RCT. This study cannot be generalised to all diet and genetic interactions as it only tested 3 gene variants retrospectively and only looked at weight loss. Whilst a well conducted study, the findings do not support the conclusions. There are many ways that genes can influence diet and allow better personalisation of diets. Salt and caffeine sensitivity, genes that relate to taste preferences, genes that predispose to iron, B12 and folate metabolism and many more. I have no doubt that there will be and there is a role for better personalising diets based on genetics. There is certainly growing consumer interest. But the evidence is still accumulating and we should keep an open mind before throwing out the baby with the bath water. As costs of genetic profiling plummets, research evidence will grow dramatically. Dr Alan Barclay is an accredited practicing dietitian and nutritionist, author and academic and a Research Associate at the University of Sydney. This well designed, medium-term duration, relatively large randomised controlled trial investigated the effect of consuming either a healthy higher carbohydrate, lower fat diet or a healthy lower carbohydrate, higher fat diet on weight loss, in obese well-educated Americans. Importantly, both groups were instructed to reduce their consumption of refined starches (e.g., refined grains) and added sugars, and all dietary advice was provided by Registered Dietitians over the course of the study. At 12 months, there was no difference in body weight, percent body fat, or waist circumference between the groups. The only significant differences were that LDL and HDL cholesterol were higher in the lower carbohydrate, higher fat diet, and triglycerides were lower. 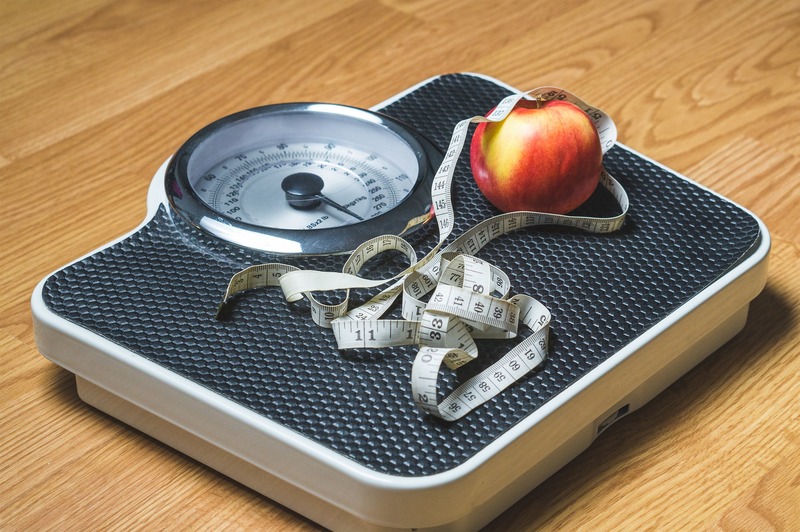 This study adds to the body of evidence that indicates that when it comes to weight loss, it’s the amount of kilojoules – not the carbohydrate or fat ratio of the diet - that is the most important factor. In other words, provided the diet is reduced in kilojoules, and is composed of high-quality foods and beverages, the fat or carbohydrate ratio is not that important – you will still lose weight. We can enjoy a variety of healthy cuisines from Mediterranean style to vegetarian style and still lose weight. The decision about which kind of diet to follow should be based on an individual’s food preferences and cultural background, and advice should ideally be provided by a dietitian. This is an excellent study, randomised, well controlled, and with a large number of participants, lasting one year and involving genotype testing and important biochemical measurements including insulin. All participants were asked to maximise vegetables and minimise added foods with sugars, refined flour products or trans fats. They were also advised to choose high quality foods that were nutrient-dense and minimally processed, and, where possible, prepared at home. Under these circumstances and with professional help and support to choose quality foods, the study shows that the macronutrient content of the diet does not really matter. Some previous studies that have damned carbohydrates have not taken note of the foods that supplied it. For example, lentils and lollies are both ‘carbs’ but one is a nutrient-dense high quality food while the other is junk. Simply calling them ‘carbs’ does not provide this vital distinction. This study in over 600 adults with overweight or obesity found that genes thought to predict fat or carbohydrate sensitivity had no effect on the amount of weight lost. There was no difference in the percentage weight loss between those randomised to follow either a low fat or low carbohydrate diet over one year based on genes. Both groups achieved a clinically important weight loss of approximately 5 per cent body weight. Following a dietary approach that you can stick with and getting the right support are important when it comes to losing weight. Dr Lennert Veerman is Professor of Public Health at Griffith University. He has published on a broad range of topics including obesity and other risk factors for chronic disease. This paper reports on a large trial in the US of two different diets; a low-fat and a low-carb diet. It tests whether the amount of weight lost in 12 months differs depending on the diet, and on participants’ genes. The researchers found that weight loss was similar for both diets (about 5 to 6 kg on average), and that genes didn’t seem to matter. This suggests that there is probably not such a thing as a diet that is right for your particular genetic make-up. The fact that the diets led to similar weight loss confirms earlier research that suggested that it doesn’t much matter what diet you follow (low fat, low carb, etc.) – they all work. It all comes down to consuming fewer calories. A good rule of thumb is to avoid energy-dense foods and (especially) drinks: we eat to fill our stomach, and if that’s with vegetables we tend to lose weight, whereas if it’s with chocolate or French fries, flushed down with a soda, we gain weight. While most diets work, the real challenge is sticking with them. The evidence suggest that after a promising start of the diet, people regain the weight they lost. Instead of ‘going on a diet’, it would be better to find new, healthier habits. But for that to work, most people will need an environment that encourages healthy eating, rather than one that is full of heavily advertised, convenient and affordable junk food. That is why the Cancer Council, Heart Foundation, the Australian Medical Associations and countless other health organisations argue for measures like restrictions on advertising and higher taxes on sugary drinks: it makes it easier for people to do stick to a healthy diet, and avoid the gradual weight gain that creeps up on most Australians. This study determined whether our genes influence the effectiveness of low fat or low carb diets in weight loss intervention strategies. The results showed that, irrespective of whether overweight or obese study participants were on a healthy low fat or healthy low carb diet, they lose approximately the same amount of weight over a 12-month period – a modest 5.3 and 6kg, respectively. Although our genes can influence how our body breaks down certain foods or nutrients, the view that a certain genetic makeup can affect whether one type of weight loss intervention is more effective over another is an oversimplification. In a process called epigenetics, environmental conditions such as hormonal changes or exposure to certain food can cause alteration of our genes, which may affect their functions - including how we burn energy. Gut bacteria play a critical role in breaking down certain food and controlling inflammation. In obesity, certain good bacteria virtually disappear while bad ones appear, thus perhaps the diversity of our gut bacteria, rather than our genes, could determine which weight loss diet would be most effective for an individual. The research is well designed and executed, but the disproportional ethnic makeup of the study makes it difficult to determine the influence of ethnicity on the effectiveness of low fat versus low carb diets in weight loss interventions. As the rates of obesity rise with the notches on our belts, the amount of diets available for overweight and obese people is growing. It feels like we are increasingly bombarded with the newest, easiest, fastest and most effective diets for weight loss, and choosing the right diet is a difficult task for many. Unfortunately, it still remains unclear which diet is the best for weight loss, and who the true demons really are… carbs or fat! What we do know is that some diets work better for some individuals than others, yet the factors that drive these inconsistencies remain unclear. New research from Standford University Medical School now suggests that no matter who the person, low fat and low carbohydrate diets make no difference to overall weight loss. In 609 overweight adults, healthy low-carb and low-fat diets lead to modest weight loss at 12 months. There were however no differences between the groups. Authors also reported that even when they adjusted for individual genetics and insulin sensitivity (thought to be crucial in diet efficacy), the results remained the same. So, what’s the bottom line? Well, this is a large study, with good retention and substantial weight loss, so it was well positioned to detect interactions between diet types, genetics and insulin sensitivity. Unfortunately however, it has not taken us any closer to personalising weight loss strategies. So for now, you can’t quite blame your genes for not fitting in to your favourite jeans. "This is a fascinating study as it challenges current thinking that genetically-modified diets will be the way of future, as many of us once thought. The key points that I take away are that firstly, the type of diet doesn’t matter as long as the clients kilojoule intake is reduced, and secondly, that prevention is more important than cure. Although genetics may not be able to influence weight loss, there is a significant pool of evidence which suggests that epigenetics do play a significant role in the onset of obesity, so I believe it’s important for us to focus on prevention of obesity in the next generation." This study confirms that weight loss is complicated and there is unlikely to be a magic solution based on someone’s biology. Participants in this study lost an average of five kilograms but the range was large, with some participants gaining weight. This study suggest that it's energy (deficit) that leads to weight loss regardless of the person’s genetic make-up or insulin biology. It also shows that there is no best diet for weight loss, with similar results for the low carbohydrate diet and the low fat diet. This means people can choose an eating pattern that suits their preference (not their biology). It is likely that the best results were obtained by the people that stuck closest to the diets they were given. It has been shown consistently that the important factors for weight loss are energy deficit and adherence. This large study from the US tantalises us with the suggestion that a specific snip of three genotype patterns can predict response to either a low fat or a low carbohydrate diet in terms of weight loss. After 12 months, the low carb vs low fat diet performed equally well, on average resulting in a five kilogram weight loss and with no effect of genotype or insulin secretion. Interestingly, the range of weight loss achieved by the dieters was very variable- the ‘biggest losers’ achieved a huge 30kg weight loss and some gained weight (up to 10kg) – this was the same for either diet. So, what makes some people so successful and others not so? That remains to be discovered; clearly it’s not as simple as these 3 genotypes being able to predict success. In the mean time, if you are trying to lose weight, chose a dietary pattern that fits your lifestyle and get support from a dietitian who can help with ensuring the diet is the best for you and you can stick with it in the long term. While this research is a critical step forward for personalized medicine, the study did not address the most critical factor in the success of personalized dieting - the microbiome. The trillions of bacteria that live within the human body - the microbiome - play critical roles in food digestion, regulating our hormone production, and are tied to human genetics. It is likely that microbiome differences drove the previous findings that were tested in this paper. Your personal army of bacteria will need to be assessed if a diet can be effectively personalized for weight loss. Years ago, Peter Wood (also at Stanford Medical School, from which the present study comes) showed repeatedly that regular physical activity allowed for more liberal dietary patterns, eating more, not less, and the achievement of a better body composition. The foremost dietary principle for humans, after being breast fed, is to have a biodiverse diet and to be physically active. This means we need small amounts of biologically distinctive and nutritious food commodities, which must inevitably be dominantly plant in origin. The misleading and pointless macronutrient business of ‘carbs’, ’fats’ and ‘proteins’ then falls into place. This is a message relevant to both public health and clinical nutrition practice. Which is to say that most genetic heterogeneity is accommodated by the principle of dietary diversity and physical activity. More important is what supports this approach. And that is a question of socio-ecological integrity. We are, after all, socio-ecological creatures.